Can You Dream a Little? Alongside that sits my ongoing rumination about economics and politics and a need for something altogether different. Economics, from the Greek word, ‘Oikos’ literally means ‘household’ or ‘ecology’ and has to do with how we organise our household or our ecology – worth noting here that both the household and the ecology are ‘living systems’ and not ‘mechanistic’ (a word which describes many of our current approaches in how we think about economics generally). I have particularly found Kate Raworth’s book, Doughnut Economics, to be extremely helpful, along with Charles Eisenstein’s, ‘Sacred Economics’, and Tomas Sedlacek’s, ‘The Economics of Good and Evil’, in helping me reframe how I think about economics and to dream about what else might be possible for us together. Politics, on the other hand, comes from the Greek, ‘Polis’, meaning ‘the city’ and has to do with how we live together as people. Our current political system is simply not cutting it. I’m actually not out to criticise our politicians. I think many of them are genuinely trying to do a good job. It’s the system that is broken and lacks the ability for true representative democracy to flourish. There is such a weariness with the two-sided braying and mocking, referendums which don’t even come close to talking about the real issues, media control of the arguments and social media manipulation of the mass psyche. Posturing, pedestalling, point-scoring, point-missing and powerful lobbies pulling strings……is this it? Is this the best of us? Is there nothing better that we can imagine? What I’m interested to find is a reimagining of what it means for us to live well together in this global age and hope we can find a way forward together, politically (with a small p) to face up to the major issues of our day. My friend, Steve Lowton, recently did a little vlog series about authenticity and it has made my ears prick up. He stated that there are three things he is listening out for: 1) the sound of people living authentic lives, 2) the sound of the people on the streets (people movements which are emerging) and 3) creative artists/poets/dreamers who can help to open up the imagination of what might be possible. If Rana Dasgupta is right, and the nation state as a concept, is crumbling, we have 100 years ahead of us of some significant turmoil as we try and navigate our way through to a reimagined future. What if, as Bishop Michael preached at Harry and Meghan’s wedding, we reimagined the world based on love?! Is it really that crazy? It is foolishness to those who deem themselves wise and experts in how things need to be run….but there is great wisdom to be found in the ‘self-giving, others-empowering love’ we find in the kenotic source of life itself! Do you think that the caterpillar can ever conceive of becoming a butterfly? And yet….in the cocoon, in the waiting, IMAGINAL cells form – they have the potential to become anything!! It is time for a great metamorphosis, where our imaginations can dream of what seems utterly impossible…..it is time for new creation…..can you see it? Can you perceive it? Can you hear it? Can you feel it? Then be authentic and turn your face into the wind that is blowing…..because together, with love, we can! What has become of the Labour Party?! At a time when there could be some really important political debate, the Labour Party has turned on itself and is in utter disarray. But what is going on? What lies beneath the turmoil, the mud slinging, the coup and the disunity? Jeremy Corbyn is calling for a ‘new politics, a kinder politics’ and ‘a society where everyone matters, where everyone cares for everyone else.’ He is calling for a new kind of debate and a new style of leadership. Owen Smith on the other hand, seems to be looking for some similar things, calling himself a left-socialist, but the difference for him seems more to do with leadership style and ability. He would rather ‘smash Theresa May back on her heels’ than the sort of participatory approach of Corbyn…. With so much media storm, biased reporting and contradictory messages on all sides, what are we to believe. What is to be made of this mess? I am sure one William Shakespeare would have had a field day in writing this comic tragedy ‘Love Labour’s Lost’ – or would it be ‘Love, Labour’s Lost’?! Our political system as a whole is a bit of a disgrace. The Westminster bubble, far too removed from normal every day life, working far too much in political theory than pragmatically in the grit and grime of every day life. And we have all believed a lie. We have believed, that in the end, human beings are motivated by their own selfish needs and that the autonomous self and the desire for freedom are therefore what drives us. But this is only a shadow form of what it means to be human (Richard Rohr). To be human is far more profound than this. We have appealed to our lesser selves for far too long and we need to reclaim the deeper truth of what it means to be truly human. To be truly human is to be first and foremost about love, and not a selfish love, because love is never truly selfish. No, to be human is to be essentially loving, in the image of God. To be first motivated by a self-giving, others empowering love. And this kind of love, as preached by John Wesley is actually one of the founding true principles of the Labour Movement. Without love, socialism is just a clanging gong in the wind. Without love, it has no power to redeem, reconcile or transform society. Labour has given into fear because it sees the crumbling of the Nation State in which it has put so much of its trust and identity. In the final analysis, love is not this sentimental something that we talk about. It’s not merely an emotional something. Love is creative, understanding goodwill for all men. It is the refusal to defeat any individual. When you rise to the level of love, of its great beauty and power, you seek only to defeat evil systems. Individuals who happen to be caught up in that system, you love, but you seek to defeat the system. And this is what Jesus means, I think, in this very passage when he says, “Love your enemy.” And it’s significant that he does not say, “Like your enemy.” Like is a sentimental something, an affectionate something. There are a lot of people that I find it difficult to like. I don’t like what they do to me. I don’t like what they say about me and other people. I don’t like their attitudes. I don’t like some of the things they’re doing. I don’t like them. But Jesus says love them. And love is greater than like. Love is understanding, redemptive goodwill for all men, so that you love everybody, because God loves them. You refuse to do anything that will defeat an individual, because you have agape in your soul. And here you come to the point that you love the individual who does the evil deed, while hating the deed that the person does. This is what Jesus means when he says, “Love your enemy.” This is the way to do it. When the opportunity presents itself when you can defeat your enemy, you must not do it. Now there is a final reason I think that Jesus says, “Love your enemies.” It is this: that love has within it a redemptive power. And there is a power there that eventually transforms individuals. That’s why Jesus says, “Love your enemies.” Because if you hate your enemies, you have no way to redeem and to transform your enemies. But if you love your enemies, you will discover that at the very root of love is the power of redemption. You just keep loving people and keep loving them, even though they’re mistreating you. Here’s the person who is a neighbor, and this person is doing something wrong to you and all of that. Just keep being friendly to that person. Keep loving them. Don’t do anything to embarrass them. Just keep loving them, and they can’t stand it too long. Oh, they react in many ways in the beginning. They react with bitterness because they’re mad because you love them like that. They react with guilt feelings, and sometimes they’ll hate you a little more at that transition period, but just keep loving them. And by the power of your love they will break down under the load. That’s love, you see. It is redemptive, and this is why Jesus says love. There’s something about love that builds up and is creative. There is something about hate that tears down and is destructive. So love your enemies. Labour must recover love at its core. Love is the only hope we have a new politics. The politics of how we organize ourselves and live together is either motivated by the need for autonomous freedom and control, which is actually based on fear, or it is motivated by love, but it cannot be essentially motivated by both. Love is the only way for a new and reimagined future. Love is the only way that we ever deal with the needs of our own autonomy. Love is the only way to heal the divide and bring unity. Where there is fighting and hatred, name calling, slander, vitriol, violence and selfishness it must stop. If it does not, then the Labour movement will entirely lose its way. Some call the left ideology Socialism, some call it Humanitarianism. Without love as the essential driving force, both are dead. Love is found in the heart of the teaching of Jesus and it has the power to truly transform the world – some call this Kenarchy. The politics of Jesus is not for the faint hearted. It is rooted in love and its out-workings are utterly pragmatic and the antithesis of autonomy and self-preserving power. We must recover our humanity and rediscover our political motivation, resisting the tide of individualism and fear. Anyone can love their friends…..it is when we learn to love our enemies and speak well of those with whom we disagree or who harm us that we become truly human and can become truly politically engaged. Labour must recover the love it has lost. The UK is facing an existential crisis, especially when it comes to healthcare. I think it is part of the reason why the Labour party are in such appalling disarray at the moment. When the nation state as we have known it is beginning to fall apart, what is the role of the state? The question comes into sharp focus when it comes to our beloved NHS. The financial nightmare facing the NHS is in the press everyday. How much of this has been orchestrated by a bureaucratic system that wishes to see its demise we may never know. But the fact remains, there is a whole lot of debt, an ageing population with increasingly complex health and social needs and a significant underspend in terms of GDP on health compared to most of the other ‘developed’ nations. Although I believe that we will (and need to) see increased localism, especially when it comes to political participation and economic alternatives, discovering together entirely alternative ways of being and organising ourselves, I still believe in a more national approach to health and social care, as for me, one of the roles of leadership is to ensure provision for those most easily forgotten about or marginalised in society. I would therefore increase spending on health in line with need and GDP. I would support moves through partnerships between health and education to encourage our children and young people, in particular, to exercise and eat healthily, therefore breaking some of the health inequalities we see presently in the years ahead. I would look to improve the overall wellbeing of society, as we know that both extreme poverty and extreme wealth is bad for our health. We need to talk about physical, mental, social, spiritual and systemic health. We need a 70 year vision for healthcare, not something that changes with the wind of each new parliament. People would be empowered to care for their own wellbeing and look after one another, because where people are connected to one another, they flourish more readily. I would not privatise the NHS, but keep it public, learning lessons from around the world, ensuring our systems are continually improving and accountable but providing kind and compassionate health and social care to everyone in our communities. I would amalgamate the health and social care budgets. I would invest in measures to improve the overall mental health of the nation by looking at the root causes of our unhappiness and disconnectedness, ensuring those who need psychological therapies and psychiatric expertise are able to access this. I would ensure our staff are appropriately paid and would create a culture of participatory leadership, where we care for the health and wellbeing of those who work in the system. I recognise that health is best provided in the local community and will support the growth of integrated care communities, like those in Morecambe Bay. General Practice is the bedrock of such communities and will therefore be funded appropriately. Communication training, led by patient-experience, would be compulsory. All training would be integrative, problem based and solution focussed (that could do with some unpacking – maybe another time!). I would break the negative cycle caused by the economics of ‘payment by results (PBR)’ and create participatory shared budgets, breaking down the walls of competition between segments of the system that need to collaborate. I would create emergency care hubs, co-locating services that need to work in an integrative manor. We have to face the fact, that it would take an enormous cultural shift to stop people walking through the doors of the ED, so let’s work with it, rather than trying to change the tide. I would want to see the 5 ways to wellbeing as part of every work place environment. In hospitals, there needs to be a focus on faster discharges (something the dreadful cuts to social care budgets across our county councils will only worsen), working with community teams to enable people to be cared for in their own homes. We need a complete overhaul of our residential and nursing home sector, finding areas of best practice and raising the bar significantly in terms of how we honour and care for our elderly citizens. We need to have a philosophical shift in our approach to death – it is an emotive subject and I have vlogged on it previously on my other blog http://www.reimagininghealth.com People need to be able to die well, and far too often they die in the strange surroundings of a hospital, cared for by people they do not know, when they could have died at home or in their nursing home, surrounded by people who love them. If only we could face up to the difficulties of death, we would embrace it in a much more healthy way…..(again I recommend Atul Gawande’s book ‘Being Mortal’). In my last blog post in reimagininghealth.com, I talked about the concept of meta-narratives and how they effect our health and wellbeing. For me the Christmas story is the ultimate meta-narrative (the big story with which I align my life). It changes the idea forever that God is a far off hierarchical, imperial, power-hungry megalomaniac. It eradicates the notion that we must go to him, where he is, in some special sacred space and will only find him if we clean up our act and start behaving in certain ways. No. He comes to us. This story (as JRD Kirk says) is not one of God changing his mind about humanity, but about humanity changing its mind about who God is. He comes to be with us and changes himself in the process. He becomes utterly human, not some weird, ready-break glowing child, but deeply human and in so doing destroys the stories we have told ourselves about what he is like. He comes to us. He comes right to our very situations, our joys, or triumphs, our brokenness and our shame and says, I AM with you. And if you run away, I’m there with you. And if you turn away, I’m there with you. And if you hide away, I’m there with you. And if you fail, I’m there with you. And if you don’t believe, I’m there with you in your unbelief. Because contrary to the caricature of Dawkins, I am love itself. A love that will pour itself out time and again. A love that is stronger than bitterness, hate and division. A love that is willing to be misunderstood, misinterpreted and misrepresented. This is not the story of a God who slaughters his enemies in order to protect himself and those he holds close (a narrative upon which the nation state is built and uses to predicate the violence it does to others – and if you don’t believe me, then you haven’t read enough history). No, this is a story about a love that will lay its own life down for its enemies and enables us to do the same. As Steve Chalk says, Jesus never came to start a religion. He came to start a political, social, economic and spiritual revolution. God with us – wherever we are. The God who prioritises the poor, the refugee/marginalised/outcast, the sick, the prisoner, the woman, the child, the environment. The powers have never and will never understand or overcome this light. The promise of the light is peace. Peace on earth. If we embrace the way of love, anything is possible. Even in the midst of all the turmoil in our world this Christmas, I find great hope in the idea of God, who is love, with us in it all. I believe that when we embrace this light and this love as our meta-narrative, as our raison d’être, we find healing for ourselves individually and corporately. If we are going to reimagine a future of peace, we have to ask ourselves some deep and absolutely uncomfortable questions. We must question some truths that we have come to believe and uphold about the nation state and the role of the armed forces. The three videos below are seriously worth watching. I recently participated in an extremely enjoyable conversation about ‘The Parable of the Good Samaritan’ and how we read it/it reads us today. (Read or watch below). mean how we live alongside our fellow humans) rather than party politics, which I consider to be an utterly defunct system which will not deliver to us the future we are calling for. 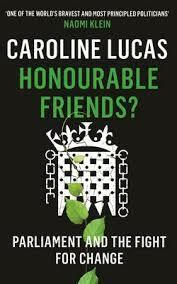 (Having said that I recognise some people feel called to change it from within, and I am particularly excited to soon embark on the wonderful Caroline Lucas’ new book, ‘Honourable Friends?’)……. 1) With whom does your allegiance lie? Jesus’ challenge is straight – Love the Lord your God with all your heart, soul, mind and strength i.e. are you about loving God and walking in the ways of love or are you about serving Caesar or religion or an oppressive regime or a particular leader or a nation-state or flag? 2) Who is my neighbour? Who is there around me that I could be helping, but am not? Who am I too busy or too important to help, to stoop down to, to embrace? Who might inconvenience my schedule or delay my journey? Who might infect me or make me feel ‘dirty’? Who am I struggling to spend myself on behalf of? And yet, who is the unexpected person doing that for me? 3) Who is the ‘other’ that offends me? 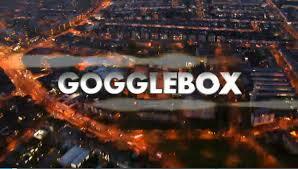 I was watching one of my favourite TV shows the other week – gogglebox – absolute genius television! One of the reasons I love it is that it gives me hope that TV, rather than simply nullify our pain, numb us to the real issues, pacify and hypnotize us to carry on business as usual, can actually inspire some conversation, cause to engage with the ‘other’ and maybe even challenge and change our perspectives! One of the shows the goggleboxers were watching, was one about a man I have in all honesty had quite a low opinion of – Nigel Farage. It was a show about him as a person, rather than his (odorous) policies. It challenged me deeply. Nearly all of the people watching him, started out with quite a low opinion of him, but came out the other side seeing him much more as a human being. It is so easy to dehumanize the ‘other’, to ridicule those we don’t agree with and create the great ‘us and them’ divide. But the challenge of Jesus is so stark in this parable. Who is the one you despise? See, they are a human being like you, and maybe not so awful as you might think. (Not an excuse to not debate awful ideas btw!). I wonder, as we look to the future across Europe, how helpful the vilification of individuals and people groups is? Will it give us a new, love based politics? When we really allow ourselves to imagine the future, I mean really imagine it, does it involve more separation and division? I wonder, if Jesus told this parable in the UK today who he would cast as the ‘Good Samaritan’? Maybe a male taxi driver of Pakistani origin from Rochdale? Or a school girl from London who has some sympathies for some of the ideas of IS? Perhaps a member of the EDL? PLEASE don’t mishear me. I am not for one minute suggesting that those who did the despicable acts in Rochdale, or those carrying out heinous and barbaric crimes in the middle east, be that IS (or the nation-states bombing the middle east) are “good samaritans”. But if we are not careful it is possible we tar too many people with the same brush. Interestingly, we wouldn’t have an NHS without the 11% of all our staff and 26% of the doctors who come from overseas. Maybe we (who is the ‘we’ – the UK? Europe? Humanity?) are richer together and if we allow ourselves to discover interdependence, we will find some love from very unexpected places and find ourselves embracing those we once thought “beyond the pale” (originally a phrase meaning those in Ireland who lived outside the British boundaries…..)? I’ve just had the privilege of spending two days immersed in the ‘Art of Hosting’ in the People’s Republic of Stokes Croft in Bristol. I’ve encountered AOH a few times, but it was beautiful to spend time in such an environment. Yet again, I find my self changed, challenged, stretched and inspired by love and relationship. The weekend began with us checking in together with a simple, yet profound two-part question: why here? why now? For me the answer to the first part was connected to the land itself. There are some places that are calling for new conversations. Stokes Croft is such a place and I felt a deep connection with it. The land itself was prepared and ready. Some places resist such conversations, and I don’t think we could have had the conversations we were having in the middle of Westminster, at least, not yet. “When any of us meet someone who rejects dominant norms and values, we feel a little less crazy for doing the same. Any act of rebellion or non-participation, even on a very small-scale, is therefore a political act.” (Taken from his website charleseisenstein.net). AOH is a profound experience because it holds a space open in which and from which these political acts can emerge. For me, and I think increasingly for many, the nation-state project, at least in Europe, is failing or waning. As William T Cavanaugh writes in Theopolitical Imagination: “Nation States are only held together by our imaginations”! But our imaginations have become tired of them. They do not hold the substance of the beautiful world our hearts know is possible! The evidence of this shift is seen with the conversations/tensions happening in Scotland, Spain, Greece and Ukraine. Nation states have become unmanageable, dislocated from reality, unrelational and unsustainable. I believe we will see the rise of regional governments and city states and I am excited to call for transformative conversations to emerge around new possibilities.